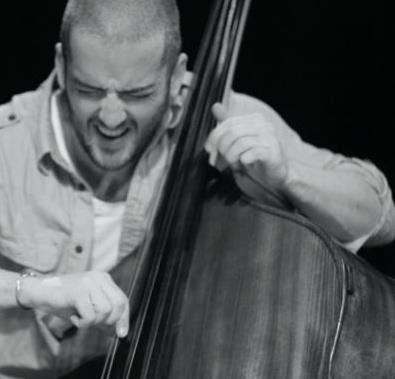 Double bass player and composer Dave Kane has put together a new project to mark his 40th birthday with a gig at Seven Arts on March 19th. Kane will conduct a large ensemble playing a programme of music written and arranged for the gig, which will then be recorded. The band consists of violin, viola, 4 saxes, 2 brass, piano/syns, guitar, drums and bass as well as a very special duo set as support. Audiences will recognise the players (Matt Bourne, Simon Kaylor, Joost Hendrickx, James Mainwaring, Kim Macari, George Murray, Aby Vuillamy, Tom Sidebottom, Oliver Dover, Garry Jackson...) but this will certainly be the first time they've heard them like this! It's sure to be well attended so arrive early to ensure you get a good seat! For more information, visit Dave Kane's website.